Hi peeps, don't miss the chance to win RM20,000 cash prize daily! unifi, the premier high-speed broadband under Telekom Malaysia Berhad (TM) has unveils ‘TEKA TEKAN’, a live interactive game show on its newly rebranded award-winning TV and video streaming service, unifi TV (formerly known as HyppTV). ‘TEKA TEKAN’, will be broadcasted on HyppSensasi HD (Channel 116) from Mondays to Fridays at 8.30pm starting 15 January 2018, will also be available for viewing on unifi playTV app (formerly known as HyppTV Everywhere). “With the recent rebranding of HyppTV to unifi TV, in line with the implementation of unifi’s single brand strategy, we continue to strive to deliver innovations in every aspect of our offerings. 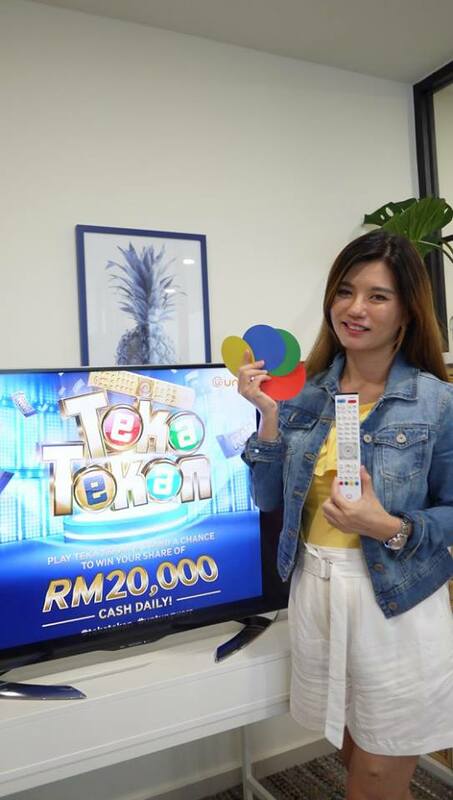 The TEKA TEKAN game show kicks off the year for us as we engage with our customers nationwide through this innovative content,” he added. The gameshow is open to all unifi TV customers where they can win by tuning in to the show. All they have to do is grab their unifi TV’s remote control and answer five (5) questions during the live game show by pressing the # button and then the corresponding colored button on their remote control for the answers. 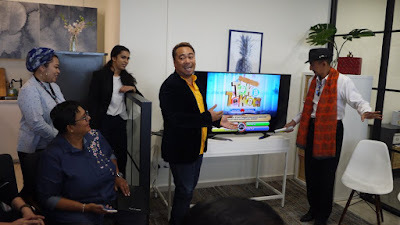 To make it even livelier, the game show will be hosted by four (4) local celebrities namely Acong Sweet Child, Farouk Hussein, Shuib Sepahtu and Anas Ridzuan. TEKA TEKAN is also brought to you by Huawei, as the sponsor for this first ever LIVE interactive gameshow. 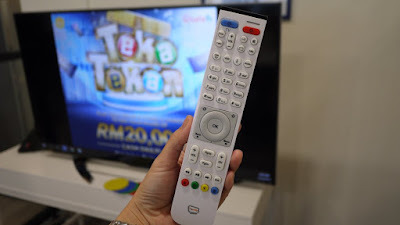 More info on TEKA TEKAN can be found at tekatekan.unifi.com.my. 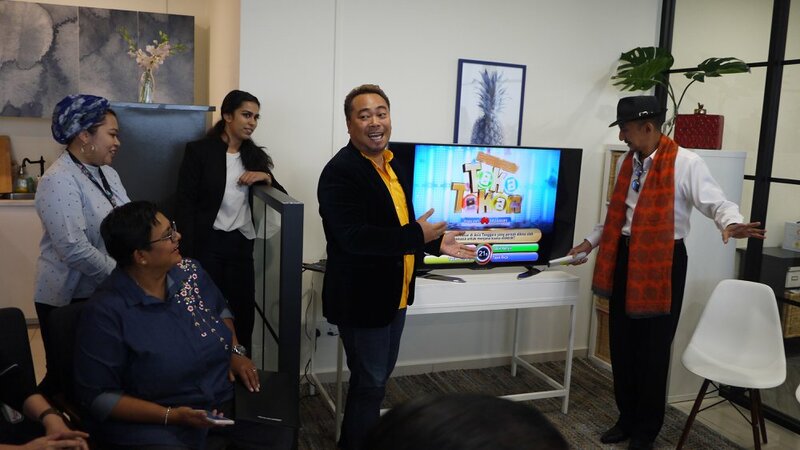 In conjunction with TEKA TEKAN’s inaugural airing, HyppSensasi HD (Channel 116) is also offering free viewing in order for all our viewers to participate in the amazing TEKA TEKAN game show, and to also enjoy other local entertainment programmes exclusively on HyppSensasi HD. unifi TV now offers its customers a total of 108 channels with 55 channels in High Definition (HD) - consisting of 53 premium channels, 25 free channels, 2 Radio channels, 7 Video-On-Demand (VOD) channels and 21 interactive channels in a wide variety of affordable packages or via ala-carte options. To date, unifi TV has more than 1.6 million subscribers. For more info on unifi TV, log on to www.unifi.com.my/tv and visit unifi TV social media page at www.facebook.com/unifiTV (Facebook), www.twitter.com/unifiTV (Twitter), www.instagram.com/unifiTV (Instagram) and www.youtube.com/tmyoutube (Youtube). Ala...Sabah ni hanya lokasi tertentu saja boleh akses unifi. area aida ni unifi lom sgt elok. coverage tak semua tempat dpt. memang dikatakan bagus unifi ni. Wow this looks like fun! 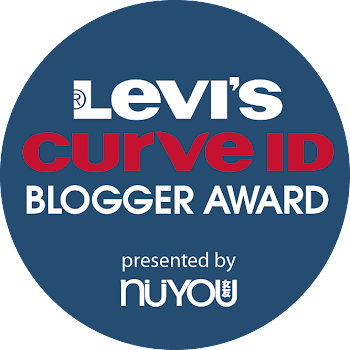 Can't wait to turn on this show and join maybe I'll win something.